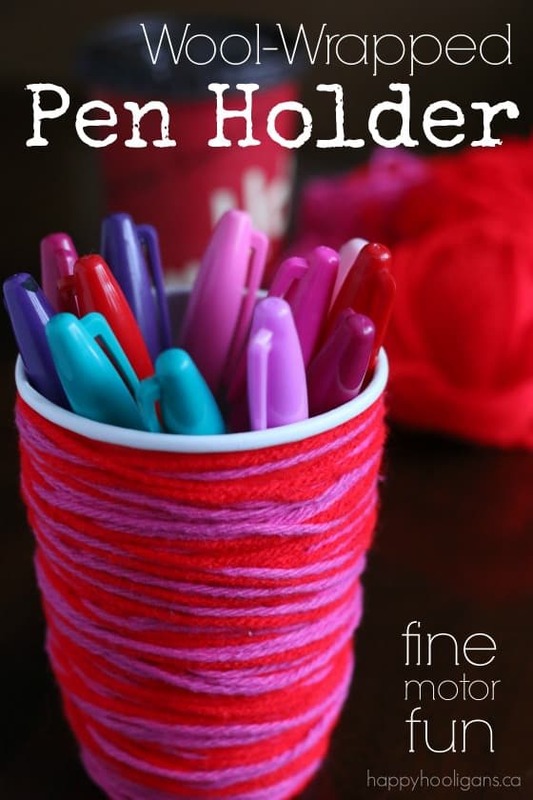 Kids can make this easy wool-wrapped pen holder as a Valentines gift for a parent, using two simple supplies: a take-out coffee cup and some red and/or pink wool or yarn. If you’re looking for a quick and easy Valentines craft for school-aged children, I think you’re going to like this one! The hooligans and I whipped up these pen holders the other day, thinking they’d make cute Valentines gifts for parents or friends. They were really simple to make, and they didn’t take long at all so they’d be perfect as a last-minute Valentines craft for home or the classroom. Our colourful pen holders would be great as an every-day craft too. You can choose any colour of wool if you’re not making them for Valentines Day. I love doing wrapping & winding activities with the hooligans because they’re great for strengthening fine motor skills and for developing hand-eye co-ordination. I also love a craft that allows us to re-use something we’d normally throw in the trash – in today’s case, it’s a take-out coffee cup. Crafting with our recyclables keeps the cost of our supplies down, and it teaches the children how to be creative up-cyclers. Ok! Let’s make some pen holders! wool or yarn in various Valentines colours – pink, red, purple etc. To start, wash and dry your coffee cup to remove any coffee residue. 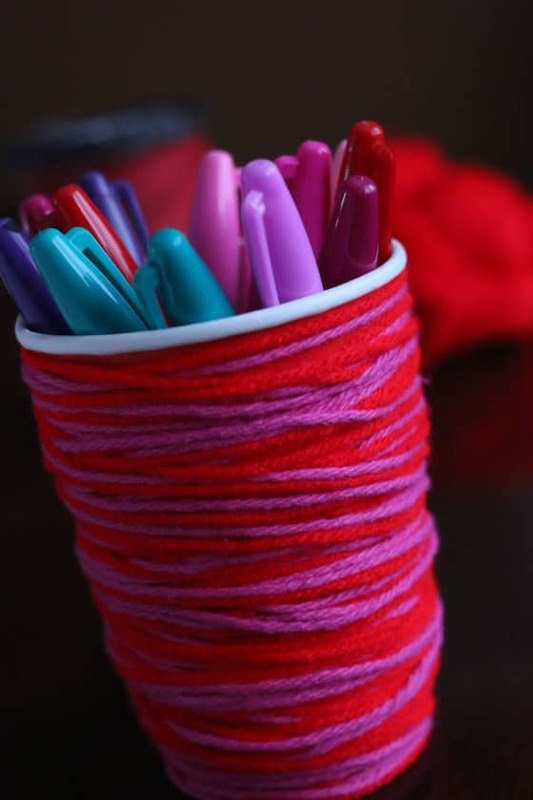 Have your child choose their wool colours, and decide how many colours they’ll be using to decorate their pen holder. Tape the wool close to the top edge of the coffee cup. 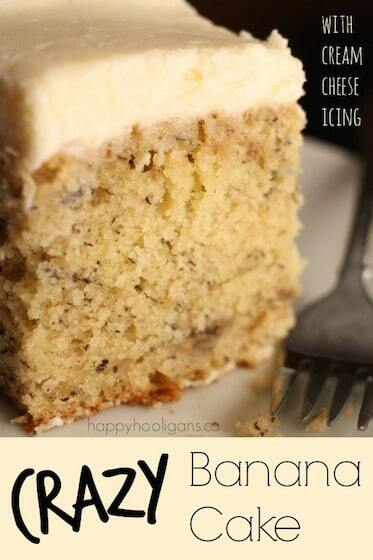 This way, you can start wrapping and winding just under the lip of the cup. And now, it’s time to wrap and wrap and wrap. 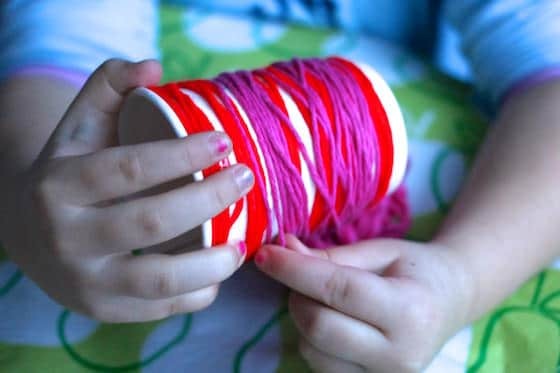 If your child is using more than one colour of wool, they can hold both strands together when winding, or they can wind one colour at a time. Begin winding, starting just under the cup lip. Wind the wool around and around the cup covering up all traces of the cardboard underneath. You don’t have to start at the top and finish at the bottom. We wound our wool up and down our cups randomly until they were entirely covered. We didn’t use any glue to hold our wool in place, but if you’re concerned that your wool might not stay put, or if your child has trouble with it slipping while they work, you can brush a layer of white glue over the surface of the coffee cup before you begin wrapping. 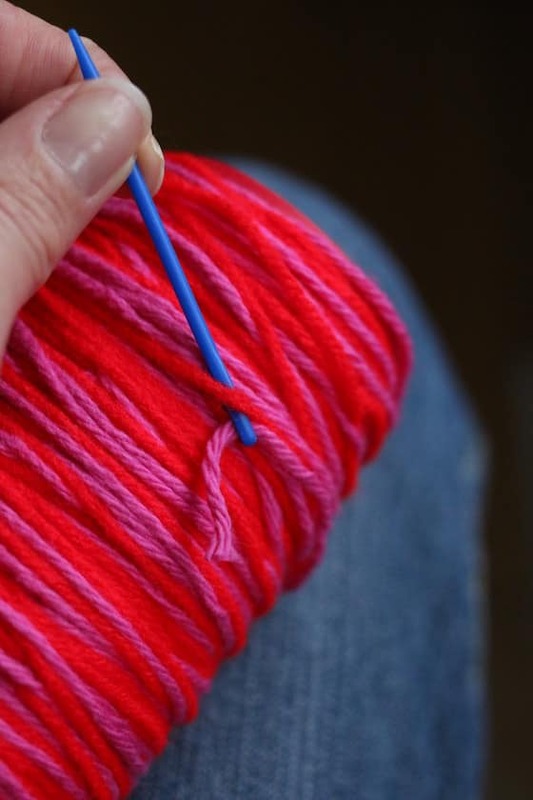 You may want to brush a bit around the bottom 1/4 inch of the cup to prevent the wool from slipping off. 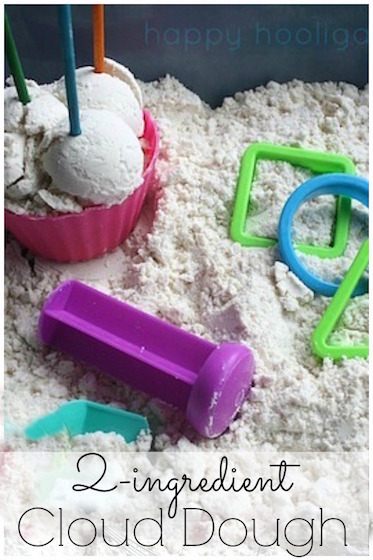 If you’re brushing glue all over the cup I would recommend that your child place his hand inside of the cup to hold it while wrapping. This will prevent his hand from becoming glue-y. 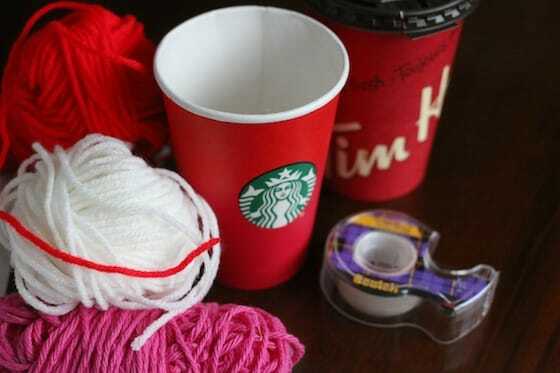 When your coffee cup is covered completely with the wool, snip the wool from the ball, leaving a 3 or 4 inch tail. 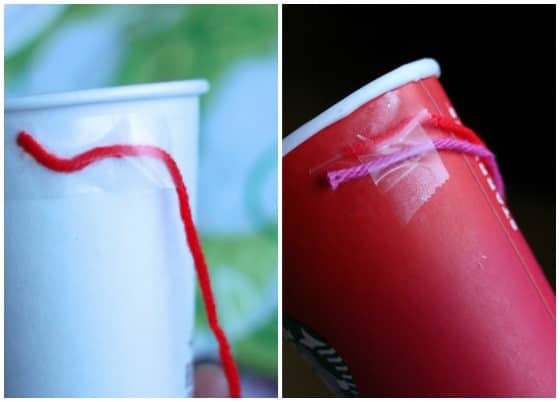 With a plastic sewing needle or an embroidery needle, weave the tail under and over a few strands on the cup several times to prevent it from coming loose. 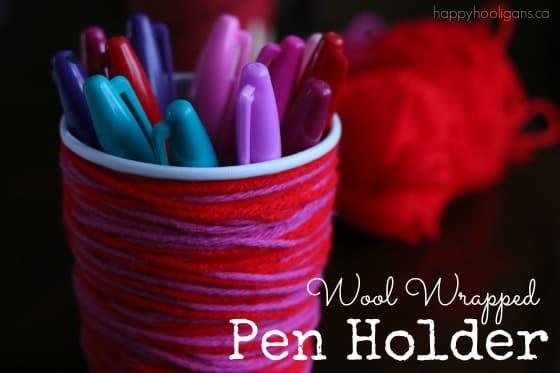 And there you are – a pretty wool-wrapped pen holder to set on a desk or a counter. 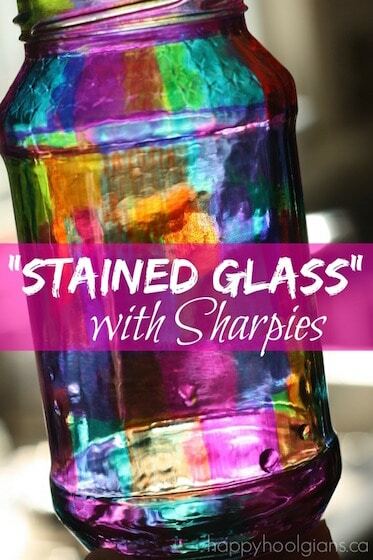 What a simple Valentines craft for a child to make and give!